More than 2.5 million traumatic brain injuries (TBIs) are suffered annually in the United States, according to the Centers for Disease Control and Prevention. Most of these TBIs happen because of falls, car accidents or acts of violence. Most go unnoticed, except by the victim who is affected and the family members of the person whose life has been changed forever. Recently, however, the issue of traumatic brain injury has been making headlines because the victim in one particular accident was a famous comedian. When Tracy Morgan was involved in a near-fatal motor vehicle collision with a Wal-Mart truck, the comedian’s plight caught the attention of the press and the public. Now, Bloomberg is one of many news outfits publishing articles discussing how the brain injuries he suffered will impact the rest of his life. A Boston brain injury lawyer knows the road to recovery can be a long one for anyone who suffers a head injury affecting the brain. In many cases, full recovery and a return to normal life is impossible. For Morgan, his accident led to several weeks of hospitalization for a variety of injuries including a broken leg, a broken nose and broken ribs. The accident caused multiple facial fractures and a subdural hematoma. On the Glasgow Coma Scale, which is used to measure neurological injuries, Morgan scored a three. The Glasgow Coma Scale runs from three to 15 and three is the worst score and 15 is the best score. Morgan was released from the hospital earlier than most victims of severe TBI because of the fact he has the resources to have private treatment. Rehabilitation specialists were able to go to his home in New Jersey to provide him with individualized therapy. He reportedly undergoes cognitive, speech and physical therapy five days weekly. This treatment has been ongoing the last five months, and is expected to continue indefinitely. Traumatic brain injuries usually take months or even years to recover, and it is unclear exactly whether Morgan will ever fully get his life or his career back on track. Morgan is reportedly depressed frequently and is frightened of what is going to happen to him in the future. Morgan has filed a lawsuit against Wal-Mart to obtain compensation for his losses. 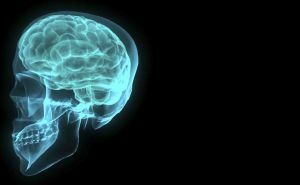 Many victims who suffer brain injuries in accidents need to pursue a claim for monetary damages in order to afford the extensive rehabilitation required to recover from a brain injury. Research America reports the average lifetime cost of providing healthcare after a TBI is around $85,000. For severe injuries, the costs can easily exceed $3 million. Overall nationwide,, the annual cost of traumatic brain injuries exceeds $76.5 billion.